RHP Mat Latos this morning had surgery to repair a tear in the meniscus of his left knee. The surgery was performed in Goodyear by Dr. Timothy Kremchek. 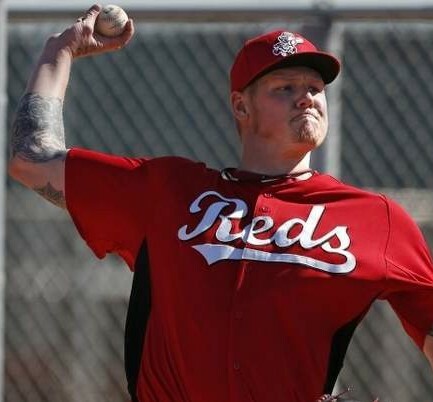 Latos is expected to return to his throwing program in ten days. A bad start? No big deal? Or a bad omen? No big deal…. I hope. Yikes. . . This is certainly not bad along the lines of “Tommy John” or “labrum” bad, but it ain’t good either . . . . The best case scenario is that this puts him off schedule but he is able to catch up by opening day. The worst case (obviously) is that it continues to affect his delivery/mechanics/velocity/confidence during the season. Well, I guess it’s time to hold my breath. My initial uniformed opinion is “Not the biggest of deals” since the surgery was performed in Goodyear. I haven’t grown to be the biggest fan of Dr. K’s diagnostics, but his surgery skills seem to be more than adequate. Or…….AAAAAHHHHAAAHHHHHH!!!!!!!!! The. Sky. Is. Falling!!!! @preach: Except he’s the same guy that did Joey’s knee. @Bill Lack: Kremcheck is also the guy who’s done surgeries for players on other teams. That is, on guys who could have gone with their own team surgeon. Yeah, I just saw this and was about to tell everyone. Should have known I would be scooped… Most likely they just wanted to take care of it now. Hopefully, he won’t set him back too far. We’ll see in a few weeks. It didn’t take long for us to regret letting Bronson go! @tbfeld: We regretted it long before today. If it is going to happen, might as well be now. Hopefully he won’t miss any starts. Being his left knee, that means that it is his landing leg and not push off leg. That shouldn’t affect his velocity. Being the landing leg, it could affect his follow through, which would affect his pitch location. Which could be equally as bad. So get it done, get him rehabbing, and get him ready for the Opening series vs. the Cards. Don’t rush him though. That should make it automatic now that Homer Bailey will be the Opening Day starter. There’s so many degrees of severity with meniscus injuries, from the Derrick Rose variety to this. If it’s only a 10 day recovery, most likely they’re simply shaving off a bit of torn cartilage to restore full range of motion. That said, 10 days off will be enough to throw off his pitching schedule. I would suppose he starts the season as the 5th starter and then switches places with Cingrani during one of the many off days in April. Recovery can also be boosted with platelet rich plasma therapy, which Kobe Bryant had. I’m going to remain optimistic. This isn’t an omen of things to come. @sultan: you’re right about PRP. It’s being used a lot by doctors in the real world. Just read about it 6 or so weeks ago. When first seeing this, I read RIP Matt Latos.. It went from oh SHHHH*** to oh.. well thats not so bad. Maybe that was their intentions? Bailey discussed his extension today. When asked if he’d like to stay, this is what he said. I know that a lot of you guys think that others are reading too much into this, but this REALLY doesn’t read as someone who wants to stay. He’s not giving the Reds a discount at all, and (this is purely my opinion) I wouldn’t be surprised if he actually asks for ABOVE market value to stay. If that’s the case, I would walk away from the table. I’m surprised that we haven’t heard anything from the management about a long term contract for Latos. As for Bailey, I love that guy and want him to retire a Red but you got to be concerned about those comments. If he had the same attitude that Bruce has we would have already locked him up by now. Dr. Dallas Latos doesn’t seem too concerned, according to her tweets. Hope Latos is in full gear by the Opening series. The Reds have a very tough schedule in April. From Mar 31-Apr 30 the Reds have 28 games. Nineteen of those games are against teams that made the playoffs in 2013. Whew. Reds are going to need Latos that opening month. It doesn’t get much easier after that. The Reds and the NL Central are also matched with the AL East in interleague play. That could be 4 or 5 .500+ teams. And the Reds are matched with Cleveland for 4 more interleague games, another .500+ team. 90-92 wins could take the NL Central. I assume from the 10 day prognosis it was Arthroscopic Knee Surgery. That procedure has been commonplace for 20 years and athletes are usually able to return to normal duty once the swelling goes down and the small 1/4″ incision from the surgery has heeled enough. The damage is 100% repaired during the surgery. The 10 day period is waiting for the body to heal from the minimally invasive procedure. @TC: I’ve had 3 scopes. One for a meniscus tear. It wasn’t too bad of a recovery. Votto also had a meniscus tear and a scope, his recovery took longer. My micro-fracture procedure was also done via scope. Yes, it’s less invasive and recovery is usually quicker but it really depends on the procedure. It was over a year before my micro-fracture surgery started to really pay off. It sounds from the description like this wasn’t too bad so your prognosis is likely correct. Just because it is a scope though, doesn’t necessarily mean it is a fast recovery. I guess that was the whole point of my long-winded response. @TC: Votto had a scope. It’s like a year and a half later and we’re still talking about his knee. Sometimes scopes are a big deal. 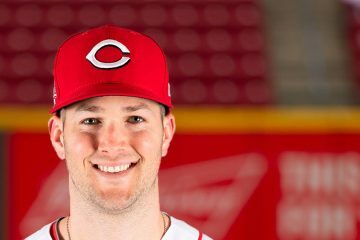 @Kyle Farmer: Votto had a scope as is second procedure to clean up his first reconstructive. Braves sign their young SP Julio Teheran to a 6 yr./$32.5MM contract. After one full season. A bold move. Not a bad omen, but a big deal. Wang or Francis beginning to look useful. Here’s hoping they can get around the league once. Only 10 days on Latos? @Johnu1: I don’t know Johnu1. Like I said above, my meniscus repair went very well and I was close to normal in about 2-3 weeks. I started PT within 5 days of the procedure. If it’s like mine and not like Votto’s, he should be good to go pretty quickly. @LWBlogger: I can’t evaluate the injury. He is a pitcher and he uses his legs and knees. I tend to hazard on the side of pessimistic when it comes to that sort of combination. We need Latos back for April. Have you seen the April schedule? 19 of the first 28 games are against 2013 playoff teams. So why do we not give Chapman the ball and tell him to get in shape to be a starter? If he isn’t needed, he’s ready to start. If he is needed, he’s ready. If this organization keeps this talent stuffed in the bullpen all spring while we debate using Wang or Pope Francis, I am going to wonder what sauce they’re sipping. We already have 6 relief pitchers who are more qualified to … um … relieve, than we have starters. @Johnu1: This would be a good opportunity to get him ready to start. Heck, here’s hoping to us looking back on this as a great development because it moved Chapman to the rotation. @Drew Mac: Even if he goes back to the pen sometime this year, he’s still ready. And if he should exceed expectations, we have a Cracker Jack prize. @Johnu1: I can fully support this idea. What better time to look into it. If this wasn’t the Reds’ medical team making the assessment, I’d be a little less leery. But there’s no way I’m counting on the no-big-deal angle until he’s back on the mound. Knee surgery from the Reds medical staff means both of Latos’ arms are falling off. Being able to return in 10 days means we’ll never hear or see from him again. He’ll be hanging out with Nick Masset, who I hear they’re expecting to return ANY DAY now. One of my worst personality traits is to leap to the worst possible conclusion. So, when I read the report, I was thinking we’ll be lucky to get him back by the All-Star break and that he’ll likely need a second surgery to clean up what Kremchek missed this time around. I really hope I’m wrong, but I simply don’t trust the Reds medical team. It’s been a year and a half since Votto had the same minor surgery and we’re still talking about whether or not he has knee problems. Hope indeed it is a minor matter. The energy that a pitcher uses in pushing off the mound outs considerable strain on that joint. My doctor told me “three weeks” for recovery from meniscus surgery, and it was six months. Votto’s was to be four weeks … more like months. Just don’t rush it! Guessing this makes Homer Bailey more likely as our Opening Day starter. Spring Training is more of a methodical process for pitchers than many people realize. With Latos already coming off off-season surgery, the knee surgery will make the Reds even more cautious in hurrying him back. My guess is they will be less “OMG, April” than fans are. Anyone remembering what happened to JoeyMVP knows that recovering from meniscus surgery is fraught with uncertainty when it comes to timelines. Even if everything goes perfectly well for Latos, he’ll be behind schedule. Coming off arm-surgery, no way the Reds should rush him back into the rotation, as tempting as that would be. Downplaying this by the Reds F.O. is pretty consistent with how businesses are run. Not unlike a few million people being tapped during the Target credit card meltdown last Christmas — “we’ve contained it and no data was compromised” — only to learn that everyone who shopped their got a new debit card in the mail 10 days later. 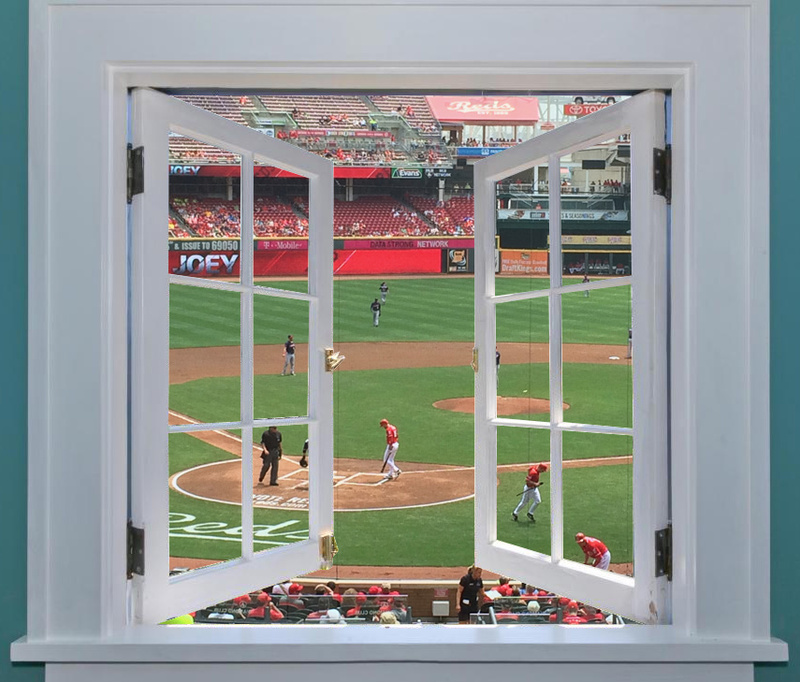 The Reds can’t afford, during this time of year when the season-ticket packages are being sold, to doom-and-gloom on the one component of the team they are trying to sell as top notch. Barring injury or setbacks, that pretty well locks up the Reds 25 man roster coming out of spring training. Let’s hope that Bryan Price will handle the roster to accomodate such weak hitting utility players better than his predecessor. @Shchi Cossack: Santiago will never make us forget Edgar Rentawreck or Orca Cabrera, but he’s probably better than Exxon Valdez or Izzy Izturis. I just haven’t come up with a nickname for him yet. @Johnu1: The Old Cossack has been as guilty as anyone of criticizing WJ (for signing) and Renteria & Cabrera (for poor performance), but the Reds paid a $2MM salary for each of those players and they really did not play poorly. Renteria put up a .251/.306/.348 slash with a 0.7 WAR while Cabrera put up a .263/.303/.354 slash with a 0.8 WAR. The problem was not the playres or the signing for Renteria and Cabrera, it was how they were utilized. Neither WJ nor the players were responsible for the utilization decisions. Let’s hope that Bryan Price learned how NOT to utilize weak hitting utility infielders. @Shchi Cossack: Utility infielders are just that. I like having 3 or 4 MLB-seasoned guys somewhere in the system or available. They make great trade meat at the deadline for teams needing a backup for their SS who has one bad knee, a sprained wrist and is in a slump. Billy Doran, please stand up. But let’s be honest. Utility infielders should be cheap because they either aren’t starters because of age or because they can’t hit. Paul Janish, please stand up. A guy who can play 3 positions in a weekend is worth a lot more than his salary. Mariano Duncan, please stand up. These guys should hopefully not get more than 200 ABs over a season. They all know their roles, I suspect. Just pay attention, learn to turn a DP and maybe knock in a run here and there. @Shchi Cossack: Santiago will never make us forget Edgar Rentawreck or Orca Cabrera, but heÃ¢â‚¬â„¢s probably better than Exxon Valdez or Izzy Izturis. I just havenÃ¢â‚¬â„¢t come up with a nickname for him yet. @Shchi Cossack: @Johnu1: Santiago hasn’t made the major league roster yet. Both WJ and Price have said that the “backup SS” (in case of injury to Cozart) will not necessarily be on the major league roster. If Sizemore had signed, that was the plan. Berndina and Nelson will have a chance to make the 25 man roster. @Shchi Cossack: Given all the glitzier destinattions Bonifacio was rumored to be headed for, I’m guessing he went to the place that all but promised him a MLB roster spot despite it being initially a minor deal. Or at the least the Cubbicles guaranteed more on the minor league side and matched the major league side of others. @OhioJim: As I recall, the Cubists are in a jam with their infield, namely Barney. There was also some unreliable talk about considering moving Castro to CF. I would not be surprised if they don’t at least experiment with that. Bonifacio makes pretty good sense, especially if Barney continues to hit .133 against the league and .398 against the Reds. Ten days sounds good but I doubt that Latos will be pitching ready until sometime in May. Not a big deal. I had two meniscus tears repaired and all the cartilage removed from my right knee a couple years ago. Was off my crutches after a day and back to “normal” after a few days, and my knee was a train wreck. Granted I wasn’t returning to athletics (doctors orders that I couldn’t run anymore because of all the cartilage removed), but I was able to replace basketball/soccer with bike riding with no issue to stay in shape. Meniscus doesn’t grow or repair itself, so there’s nothing to heal other than the damage done to tissue around the knee from the surgery. The larger issue is where the tear was located, how much of the meniscus had to be removed, and how that impacts how his knee feels. Generally a minor tear can be removed and you don’t know the difference. A major tear can cause the doc to remove enough that the knee doesn’t track the same, or at least doesn’t feel the same (and will never feel the same because it doesn’t grow back). In the latter case you have to get used to how the knee feels and that can be more mental than anything else. Joey re-injured his knee after the first surgery, and had to have a second surgery if I remember correctly. I don’t think you can compare the two. Also, I wouldn’t expect it to impact his pitching motion unless landing on it happens to feel awkward and he tries to compensate for it. @TD: Good comment. There are many varieties and severities of meniscus tears. The emphasis has been on “minor tear” and “minor repair”: “A small flap of the cartilage was removed … “. I hope doc Hollywood did it right. We all remember how Votto’s first surgery wasn’t done all the way. I don’t anticipate it being an issue. I am in the Cueto-for-opening-day camp. I fear that Latos is in for a long and frustrating season. his conditioning will be a concern for me. I just hope if and “when” he’s healthy he can get past the 5th and 6th inning. I fully expected to losse a few starts from someone this season as all teams do. I just hope we plan better and move forward till Latos is ready to go. That being said this will be a “huge” year for Cueto, after the injury that may or not may be linked to his motion and his flame-out in Pitt. He needs, and more importantly, the team needs this young man to stay healthy. The Old Cossack found no argument regarding the rankings provided. The reason I bring up the article at all is the common reasons offered for these successful managers: Communication skills, delegating to coaches, knows pitching, gets the most out of his players. Going into the season, these attributes appear intrinsic to Bryan Price’s leadership style that should translate very well into his managerial style. @Shchi Cossack: I think in the case of C. Dillon Stengel, it was a combination of all that and great talent. George Anderson may be in the same category. Larry Bowa and Ray Knight, however, are not. The list: Boston writer picks Farrell and Valentine. Whodathunkit? That aside, Roenicke is too high and Gibson is too low. Matheny? Um … better than he’s been touted. @Johnu1: Valentine? I wrote that? I naturally meant the other guy. Aaron Harang signs a minor-league deal with the Indians. It’s hard to get out of baseball if you keep putting something into it. I guess ex-Red Ryan Dempster is going to not play this year. Makes it sound like he might not be done for good though. Dempster is another one like Kyle Lohse of quite a few pitchers that have been terrible in Cincy but somehow figured it out after they left in the past decade or so. @earl: Dempster also had some good seasons with the Marlins before he joined the Reds. Later said he tried to pitch thru an arm (shoulder ?) problem when with the Reds. As reported Latos’ injury is short term, but I’m concerned anyway. The spring training injuries to Madson, Bray, and Masset were all originally described as “minor”. @pinson343: Despite my paranoia, Latos will be OK as long as he doesn’t rush his return. That’s my realistic concern. @pinson343: I go with the 6 weeks more than the 4 weeks. It’s one thing to get cut, another to heal and still another to get the brain working with the knee AND that pesky elbow. Could be, the elbow led to the knee and the thigh bone being connected to the ….. I see Latos as being on the DL until the first of June.